Read articles on a range of music education topics (with an emphasis on percussion). Advice and reflections on body percussion, samba drumming and music education. Ollie recently had the pleasure of delivering a keynote speech at the Latin American Heads Conference. They key theme of his presentation was the importance of creativity and music in our schools. Specialist music teachers have long known the value of body percussion. It’s music that you can make anywhere and with anything. 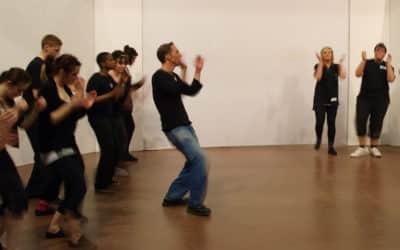 This makes it an equally exciting tool for use by non-musicians in their lessons.We have pulled together four of our favourite ways for any teacher to make use of body percussion in their starter activities. Unsurprisingly, we love percussion! If you can use it to make a beat, then we can lose hours finding all manner of riffs, rhythms and grooves. We wanted to give you a few ideas for making the most of percussion in your music lessons. Why not use these ideas in your next lesson and create a really exciting piece using nothing but instruments that you can hit, shake or scrape!